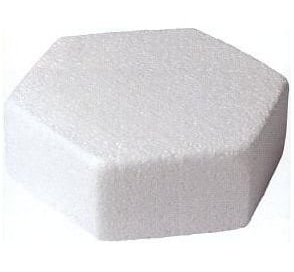 Hexagonal cake dummy, 3″ depth and large 6″ Diameter, with other sizes available. 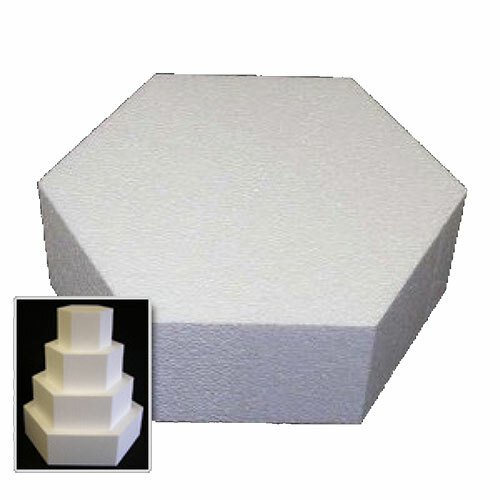 Quality packaging made from recycled polystyrene. Free postage and package.